A nationwide kidnap alert was triggered in France on Saturday after a father illegally snatched his seriously ill baby from hospital. 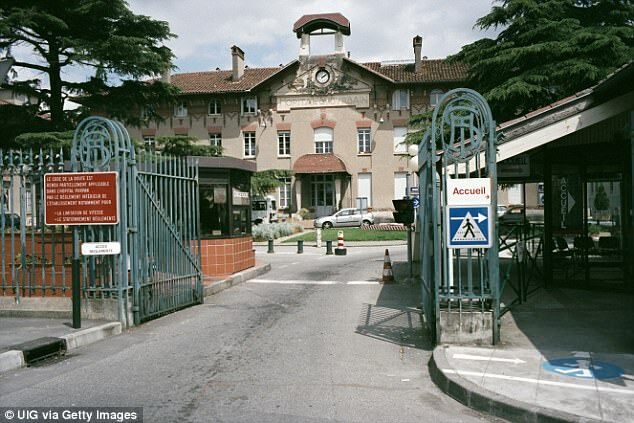 The child - identified as Tizio - was taken from the Purpan Hospital, in the South West city of Toulouse, between 6.30pm and 7pm on Friday night. Tizio, who is two months old, 'requires immediate care and could die if this care is not given,' said a spokesman for local prosecutors. While the whole of France is now technically mobilised, there are also fears that the baby may have been taken to a neighbouring country, such as Britain. South-west France is full of expat British people and they are all being asked to keep an eye out. The prosecutors spokesman described Tizio's father as aged 33 and 'tall, slim, and with a long brown beard and brown-to-black curly hair'. The man - who has not been named - was last seen driving a white Peugeot 307 registered in the Ariege department of France. Tizio was dressed in a light blue, woolen costume. The kidnap alert system was set up in France in 2006, and has been triggered more than 20 times since then. It leads to information being broadcast on at least 50 outlets, including online, on TV and on the radio. The idea is to mobilise the entire population into looking for the abductor and the child. It can only be launched by a prosecutor when there is clear evidence that a kidnapping has taken place, and not just a disappearance. Anybody who catches sight of Tizio or his father in France is asked to call 0800 36 32 68, or send an email to alerte.